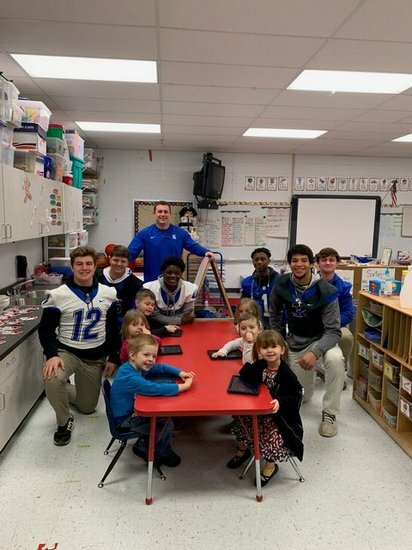 Some of the Ringgold High football players visited Tiger Creek this week to spread Christmas cheer. The players handed out candy canes, visited classrooms, and watched a performance. Many of the players are former Tiger Creek students, so this was a special visit. The coaches and players would like to wish everyone a Merry Christmas!